Exquisite flavors and aromas are found in both fine cigars and premium whiskey. 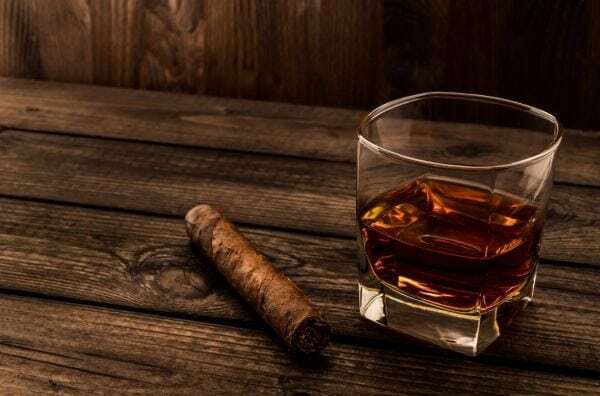 That’s why Scotch, Irish, American, Canadian and other types of whiskey are often paired harmoniously with a well-aged cigar for moments of relaxation, conversation or celebration. A whiskey cigar pairing is a time to savor two pleasures that complement one another naturally. That means the flavors of the cigar and the whiskey maintain their distinct characteristics independently, but also work together for an overall experience. Generally, the body of the cigar chosen is in sync with the weight of the Scotch or bourbon. That means a mild cigar is normally paired with a light-bodied whiskey. Your cigar and liquor choices can also involve considerations of aroma and finish. Enjoying a new whiskey and cigar pairing has a great deal to do with your personal palate. Do you prefer a sweeter American whiskey or a smoky Scottish one? Do you like subtle spiciness or woodsy intensity in a cigar? Pairing cigars with wine or spirits can be a matter of experimentation. 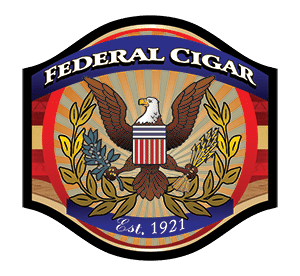 Federal Cigar has a unique level of expertise to assist everyone, from the novice to the cigar aficionado, in the quest for pleasurable pairings. A superb, light whiskey can reveal the delightful intricacies of a complex cigar, and vise versa. A good whiskey is a beautiful blend of tastes, from oaky to spicy, that can be paired with a full bodied cigar. There is a reason that the whiskey and cigar bar is a favorite stop for many – whether it is in the city or during a formal celebration. If you’re new to pairing cigars and spirits, we are here to help. We are one of the oldest cigar shops in the U.S., committed to serving both our online and shop customers who seek to unite the exquisite cigar and the delicious libation. As the operators of sophisticated cigar bars, we are the natural place to turn when signature smokes will be offered with drinks. Shop online now to find fine cigar gift sets that you can unite with a luxurious bottle of whiskey to create the perfect gift.